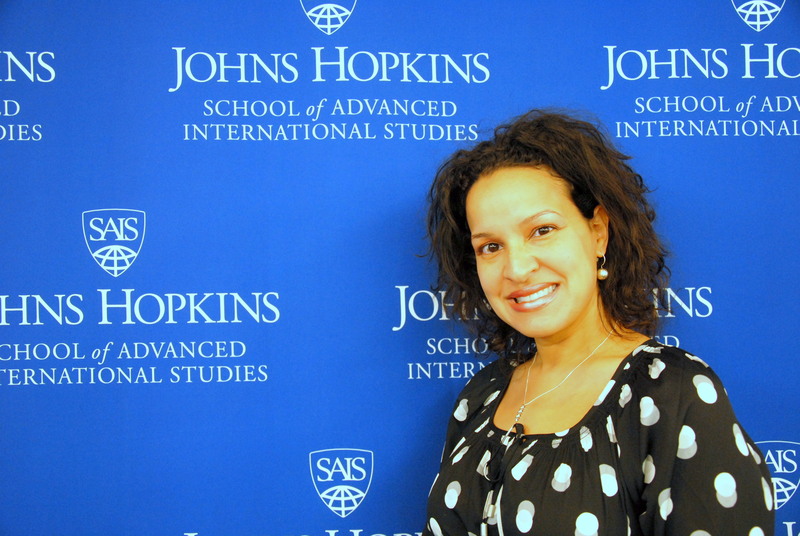 Starting in the spring 2014 semester, the functions of student life at SAIS will pass from the authority of Assistant Dean Bonnie Wilson to Noemi Crespo Rice, who will assume the title of Chief Student Affairs Officer (CSAO). Dean Wilson, who has been an advocate for students for 20 years, will retire, but continue to work part-time with the office of development and alumni affairs. As CSAO, Rice, who has been the director of financial aid for the past eight years, will be responsible for many areas traditionally considered student life: student accounts, financial aid and student issues with the JHU Office of International Scholar and Student Services. The transition and new position comes amid a bureaucratic reshuffling that began one-and-a-half years ago. It is intended to consolidate the non-academic student functions under one new office that will adjust to the growing needs of the student body. The restructured SAIS bureaucracy will retain a pyramid structure with Dean Vali Nasr at the top followed by Senior Associate Dean Myron Kunka, who works with three associate deans for academic affairs, development and alumni relations, and executive education and strategic initiatives. This restructuring eliminates the assistant dean-level position for student affairs and places most of its functions under the new CSAO, who will report to Kunka. Rice has spent her weekends in recent years working on continuing her education in addition to working in SAIS’ financial aid office. She has worked towards a master’s in higher education from George Washington University and a doctorate in Higher Education Management at the University of Pennsylvania. Rice’s motivation for that heavy schedule comes from personal experience. Her father was a factory worker from Puerto Rico when he came to the US and her mother only attained a fifth grade education. “Socially, academically, I was not prepared for college at all,” she said. It was only with the support of mentors that she was able to adjust to college, she said. The experience shaped her academic inquiries. For her doctoral dissertation, she interviewed 23 senior Hispanic women in higher education across the US to assess the impact of assistance programs on the landscape of leadership in the sector. That principle, Rice argued, easily translates to SAIS. Rice is currently working with Dean Wilson, Director of Student Life Lisa Kahn (who will serve under the new office of CSAO) and others to start her new job next semester. Rice said it was too early to talk about specific plans, but she believed that “in the long term… student affairs will expand.” This includes anything from admissions to disability assistance. “The needs in these areas will increase,” she said. Considering her background in financial aid, Rice expressed concern with the financial burden on students of SAIS tuition. The average SAIS student graduates with debt between $75,000 to $85,000. “Unlike other schools who are seeing spikes in debt, we’re seeing it go down,” she said, but she foresaw a more extensive debt management program. Whatever the new policies will be, the new position of CSAO is sure to cover both ping-pong tournaments as well as students’ bank accounts. Dean Kunka is confident in the new appointment. “Noemi’s sort of an idea mill” he said.